For every adventures, having bad experiences is inevitable. But these not- so- good -things that suddenly come along the way would sometimes make the adventure more memorable. My adventures for the year 2013 is a combination of both hits and some glitches. HITS: I would call this as "Southern Hits" , why? Second reason why I said " Southern Hits" is that I had finally scratched off from my bucket list the following South East Asia countries. The lists will not be complete without mentioning of course, the Philippines. I always look forward in coming back to my home country and discover other places I haven't seen yet. My Sagada adventure was one for the books. I met new friends here and together we explored the town, chased waterfalls and got wet and dirty in the cave connection /spelunking. A visit to the country also means "reunion". I saw some of my former office mates. Seeing them means, laughter, food, unending stories, more laughter and more food. I was reunited with my P.A.U.L.S. group - a group I formed with my former high school batch mates and friends with the main objective of helping the indigent students in Ilocos Sur. This is actually a double purpose activity because we get to help less fortunate persons and we also get to see and be reunited with our high school classmates. 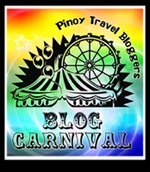 It was in Vigan where I met a co-blogger for the very first time, it's non other than the Town Explorer, Edmar Guquib. It was a joy to meet him, I was hoping to explore neighboring towns with him but our schedule just won't fit in. GLITCH: this happens all the time. Sometimes it is during in the most unexpected place and time. My trip to the summer capital of the Philippines, Baguio City, was the scariest. I was almost electrocuted in a hostel's bathroom. Read the full story on my misadventures at Baden Powell Inn. Another glitch, Backlogs! For some reasons I was not yet able to write any piece on my trips to the Sicilian towns\cities I mentioned above. Also not a single post yet for Cambodia, Vietnam, Hongkong and Macau save for the Pandanus resort I wrote for the Pinoy Travel Blog Carnival for the month of October. Year 2013 for me is really an adventure with all the twists and turns. As the Year of the Snake is about to end I am making a promise to get myself back to writing and cover all my backlogs and travel more, of course. wow a year full of travels! Happy new year, Beautiful! I can relate to the backlog syndrome. 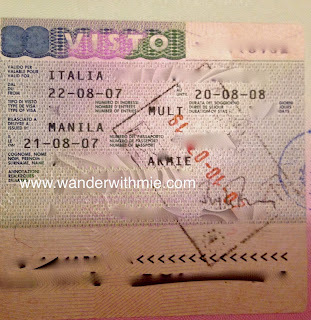 There are memorable trips I have not blogged about at all, but I do hope you blog about Italy. Hi Claire, Thanks for dropping by.. I will surely write about Italy. I hope I will be able to finish it by the end of the month. Happy adventure to you too! wow! congrats for having 4 countries scratched of your bucket list. I have the same list for this year and Im crossing finger. Happy 2014 to you! I wish you more adventure to come. Hi Christeen, Thank you and congrats to you too! Happy travel-filled 2014 to you! More travels this year for you! Thank you Paula! More adventures to you too! Ang saya ng 2013 mo ate Armie! Sayang hindi tayo nag-tagpo sa Sagada that time! Anyway, sulit parin ang empanada at chocolates na bigay mo sa akin. hehe.. Happy New Year ate and more travels this year! Oo nga hindi man lang tayo nagkita sa Sagada.. Next time plan natin ang trip at more empanada sessions. Happy new year and more travels to you too! keep exploring!